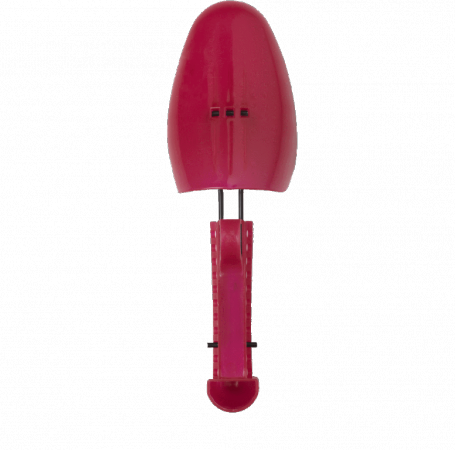 Shoetrees plastic, ideal to keep in perfect shape footwear of any material..
Universal size from 36 to 40. This product is also available for man. Disengage the rear of the shoe tree from small rods of metal andreposition it in the holes by adapting it to the size of the shoe. All kinds of shoes, skin smooth, glossy, suede, suede, patent leather,synthetic velvet, leather, canvas, sports, boots, cowboy boots, Texans, sneaker. The Shoetrees force the shoe to remain in tension, thus avoidingthe formation of folds in the skin.